In this chapter we formulate the main polynomial root finding problem in terms of the eigenvalue problem for the companion matrix. 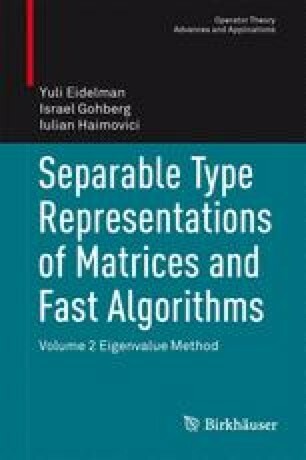 We will easily see that the companion matrix belongs to the class of upper Hessenberg matrices which are rank one perturbations of unitary matrices. We will study this class in detail here.